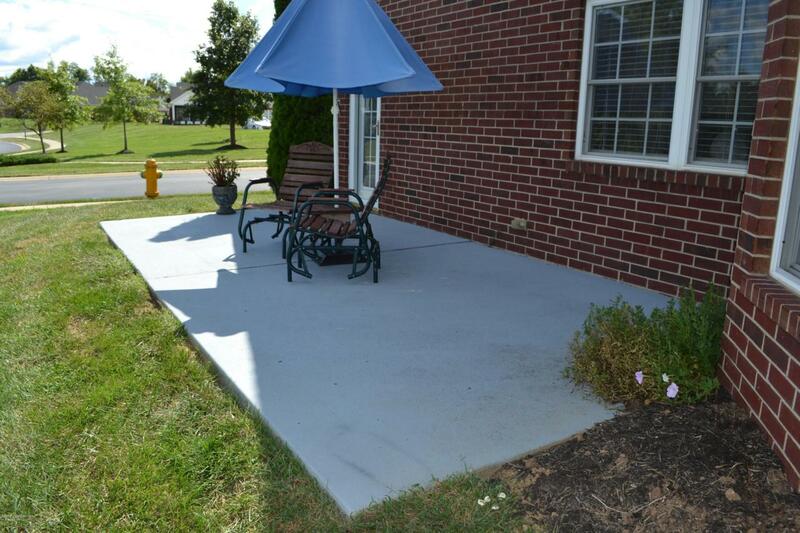 Have you been waiting for a fantastic one-owner patio home with a floor plan offering gracious living? 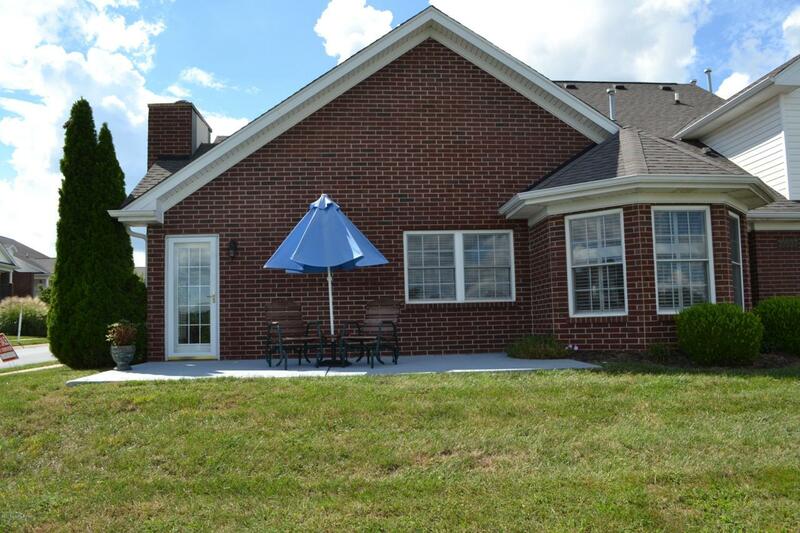 Upon your arrival you will find a lovely brick home that overlooks the open field/fenced area which gives you a feeling of not being closed in, similar to a rural area and only 3 miles from Mt. Washington. Once you enter you'll find hardwood flooring. Off to the left is the Eat-in Kitchen with an abundance of pretty white cabinets and a bow window with the view of the open fenced area. Kitchen has hardwood flooring and white appliances that remain. Kitchen just freshly painted with plantation shutters. Expansive Great Room with cathedral ceilings, plantation shutters, fireplace with pretty white mantle, hardwood flooring, and door leading onto large patio. 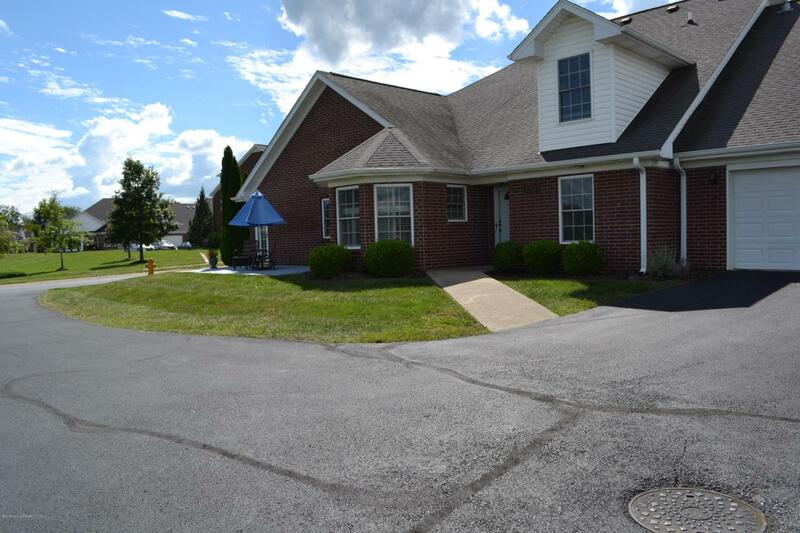 Off of the Great Room is thespacious 1st floor Master Bedroom and adjoining Master Bath with walk-in closet. 1st floor Laundry Room with washer and dryer that remains. Attached is a 2-car Garage with convenient access to Kitchen. Then off to the right of foyer you'll find another Bedroom (can be used as office) and another full Bath. Upstairs you'll find 2 Bedrooms with plenty of closets and another full Bath with recent laminate flooring. This one-owner home has been pampered like a baby. Monthly maintenance of $253.25 includes water, sewer, trash pickup, groundskeeping, street lights, exterior maintenance, and master insurance. Other amenities include club house, fitness room and pool. Close to Mt. Washington and Fern Creek - only 3 miles each way. 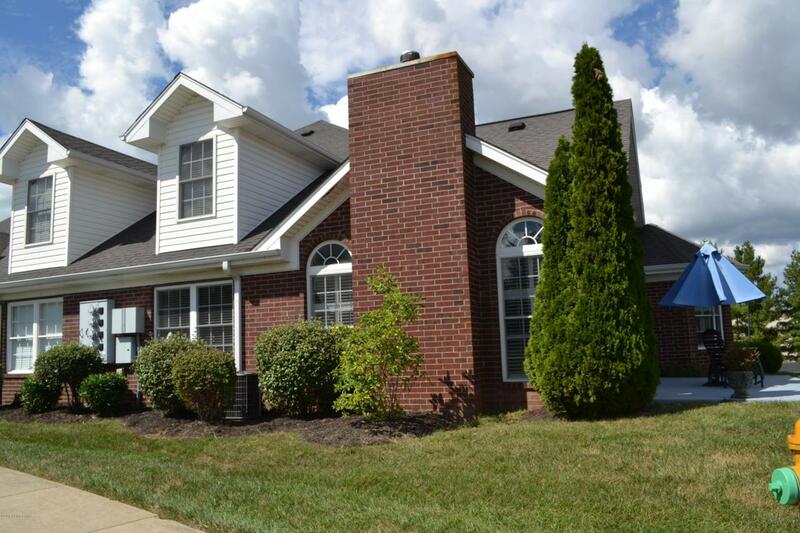 Close to Kroger, Gene Snyder Freeway, I-265, restaurants, schools, and churches. Call today for your private showing!! This community is a place you'll love to call home!!!! Listing provided courtesy of Re/Max Action First. © 2019 Metro Search, Inc. All rights reserved.